On Boxing Day 2015, heavy rain caused the River Aire to burst its banks, devastating areas of Leeds, UK. 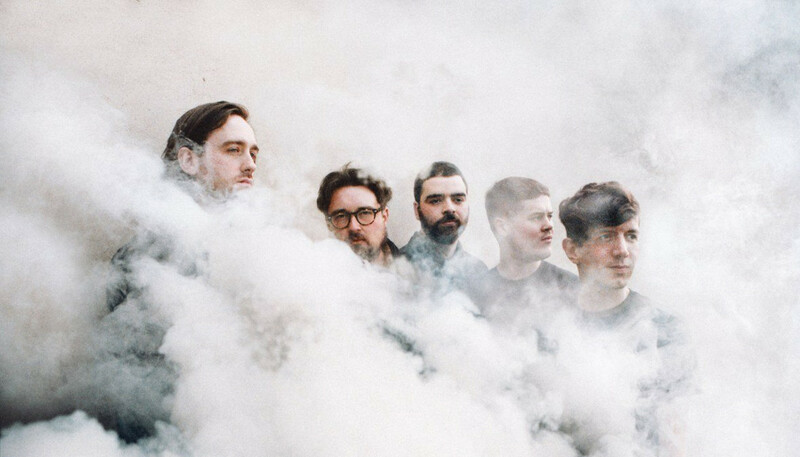 Surburban Home – the studios of producer and Hookworms-frontman MJ – was amongst the buildings flooded. Here MJ explains how he recovered from the disaster, and discusses how a desire to pursue electronic sounds and tackle weighty themes has resulted in the British band’s finest album so far. Hi MJ, how’s it going? Good! I’ve been recording a new band from Leeds called Greyhound, who are great. Ellis, who is Trust Fund, it’s his new band. 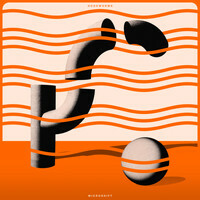 It’s been four years since Hookworms’ last album, The Hum. Did you plan to take time out or was the break a consequence of circumstances? It was just circumstance. We’d already started making the record before my studio flooded in 2015, and we intended to have something out way sooner than this, but life got in the way. It became normalized to feel like you were in some weird disaster movie. As you say, your recording studio, Suburban Home, was devastated by floods on Boxing Day in 2015. What can you remember of those events? I came down here [to the studio] on my own, and the only other person I could get in touch with – because it was Boxing Day – was Chris who ended up playing saxophone on the new record. He helped me move everything, and then my uncle came down a little bit later and helped us with the last of the stuff. I don’t remember anything about the six months afterwards because I spent so much time just working on getting the money together to rebuild it. I’m still dealing with the admin from the flood two years later. Since the flood, I think I’ve had less than a week off work, because I’m still in so much debt from it. The GoFundMe campaign you launched after the flood had a brilliant response. That must have meant a lot? Yeah, that was amazing. The other Matt in our band started that. I was really adamant that I didn’t want to do it, even though people were saying we should set something up. I was really surprised by the response. I thought it might get a couple of hundred quid to help me along the way but I wasn’t expecting it to be quite as much as it turned out to be. That was one of the nice things that came out of [the flood]: I didn’t really pay attention to how any of the work I was doing – or anything we were doing in Hookworms – was being received because once we, or I, had finished I’d moved onto the next thing. And I got so many emails from people saying that they love the records I’ve made which was nice because you never really think about people listening to them. Sonically, Microshift marks a huge change in your sound. Can you tell us about your decision to embrace electronic sounds? I think it wouldn’t have been so shocking if we’d released the record that we were making when the flood happened, which was somewhere in-between where we’re at now and what we were doing at the time. The second track on the album, “Static Resistance”, is the only thing left over from those sessions. We scrapped the rest of it because I don’t think any of us were particularly happy with it. We’ve been working on this record for three years and so it feels totally natural to us to sound how we sound now, but I can see why it might be shocking to people who haven’t been involved, like we have. I think a lot of that change came from both [Jonathan] Nash who plays drums and Matt [Benn], who plays in XAM Duo and plays bass in Hookworms and does a lot of the electronics. We knew we wanted to incorporate more of the modular synth stuff and work with loops and samplers, and it took us a long time to work out how we could fit that into the band that we already had. Like, you almost have this existential thing where you work out what is Hookworms, and what can we get away with doing whilst still retaining what Hookworms is. So it was about working out how to fit those electronics in with guitars, which is hard because you don’t want it to sound like Muse. (Laughs) But I think we got there in the end. What music were you listening to during the writing and recording of Microshift? The nice thing about our band is that we don’t all collectively have something that we coalesce on too much. I guess over the last few years we’d say we all really like a band like P*ssed Jeans but obviously we don’t sound anything like them. I mean, personally I’m the most boring, songwriting-based person. I really like a lot of the records that I get to make, with bands like Martha and Trust Fund and The Spook School, and then things that follow in the vein of American indie-rock, I guess. Whereas, say, Matt and Sam [Shjipstone, guitar] listen to a lot of jazz and a lot more electronic music. I know there was a Gang Gang Dance record that we referenced a lot in terms of the sonics, and looking at ways of treating our instruments in a different way with pitchshifting. Drums Not Dead by Liars is a constant inspiration since when we started this band. And I listened to a lot of Arthur Russell – that was a big influence as well, I think. The lead single, “Negative Space”, sounds joyous, but conversely it deals with grief. Can you tell us about your lyrical approach for this record? I was very set on certain themes and crowbarring them into the record, I guess. Like, I knew I wanted to write a song about grief. There’s more than one. There’s “Negative Space” and then there’s “Ullswater”, which is about grief as well in a way because it’s about Alzheimer’s. My dad has Alzheimer’s and that hung over the whole record. We lost a very close friend of the band just after the studio reopened in mid 2016; he was our sound engineer and we considered him a member of our band. And so we all collectively were still grieving for him as we were making this record. So that was there, and then there were more abstract concepts that I wanted to think about, with mental health. Both about perceptions of your body and anxiety in public spaces, and then also masculinity and the unwillingness a lot of men have to discuss their problems or their fragility. It took me a long time to work out how to do those things without it coming across as being kind-of crass, and it’s something that I learned from working with bands like Martha. They manage to marry political lyrics to a pop song without it ever feeling like they’re force-feeding you anything and it was something that I wanted to work on really hard. I spent more time on the lyrics on this record than anything else I’ve ever done. Because I also knew I wanted my vocal to be way more up front and I knew that meant that I had to make sure that the lyrics were as good as I could make them. On “Shortcomings” – the song that deals with body image and anxiety – it’s really refreshing to hear that subject approached from a male perspective for once. Can you tell us about the catalyst for sharing those thoughts? That was why I wanted to do it, I think. I’d heard my friends talk about it before, and I feel it and I’ve talked about it with my friends before, but it is definitely not part of the conversation with male mental health so much. There’s very active and welcome discussion about male mental health – even more at the moment – but it doesn’t really include that or those perceptions that we have about ourselves and the guilt we feel – or I feel – about how my body is or how my body might be perceived. I knew I wanted to write about that because it was an important thing to do. I think there’s a realization that we’ve had over the last few years... We started a band for the same reasons that everyone starts a band – because it’s fun and you want to hang out with your friends and play music. I don’t think we ever genuinely started this band wanting to be where we are now. I’m 33 in a few weeks, and I’m not the oldest in the band, so we were all at a point in our lives where we’d given up on that teenage dream you have of being in a band on a popular record label, which is basically being in the position that we’re in now. I was kind-of over the idea. I didn’t ever really intend to be here but I want to make the best of it while we’ve got it. And I realize we’ve got a platform so I’d just like to use the platform so that at least, in 10 years time if this has ended, I’ll know I did as much as I felt I could. Do you often get fans sharing stories with you of how they relate to your songs? Yeah, yeah quite a lot. Though sometimes less that... Once this young teenager came up to me in the street and said that something that we’d said had turned him on to feminism. And there were these two young girls who came to our last London show and they came up to me at the barrier after we’d played and said that they wanted to work in a recording studio and I’d been an influence in that. I find things like that far more rewarding than some sort of critical acclaim.